The one thing I am most thankful for is my son goes back to class for some real schoolwork after a week of science camp followed by a week at home with his Mean Mom. Ha ha! The joys of parenting, amIright? 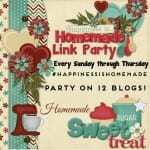 I have some holiday crafts and recipes I will be trying to get posted this week. In the meantime, you can enjoy theses posts from last week. 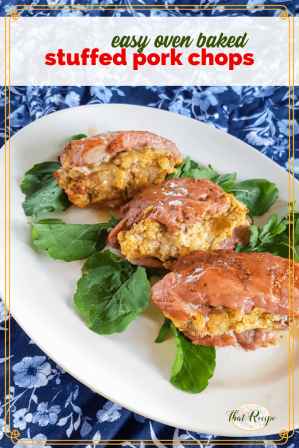 If you still have leftover stuffing in the fridge, try these easy stuffed pork chops to give them new life. 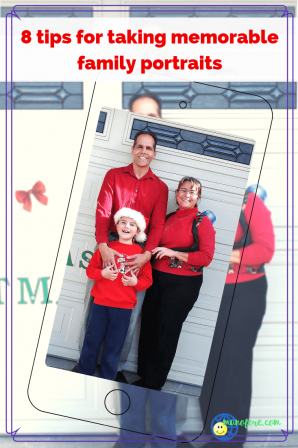 And I have some handy tips if you want to try taking your own family Christmas portraits. Alas, my last week for hosting is upon us – Thanksgiving has come and gone, and not to mention a busy weekend of Christmas shopping and decorating for the holiday! I am proud to say I have held off on my Christmas decorating until AFTER Thanksgiving – must give credit where credit is due. I don’t want to step on Thanksgiving’s toes! 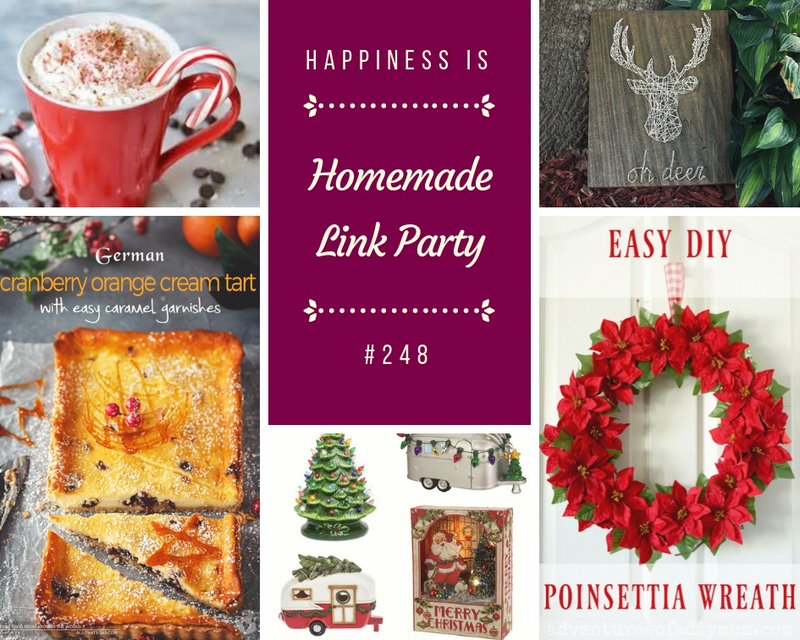 In anticipation of our holiday traveling I made sure to prep ahead of time picking all of my features from last week’s party – scroll down to check them out! 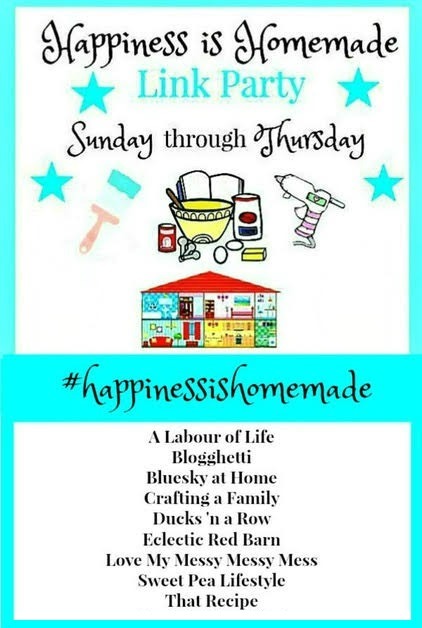 Thanks again for tagging along with us at Happiness is Homemade through the month of November, our next hostess for December is Carol from Bluesky At Home! Want to follow in my messy and tidy adventures??? 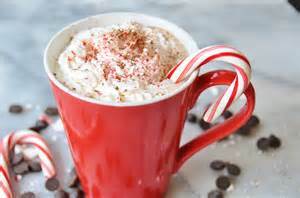 With all of the errands and shopping I have to be doing, I like to save a little time and money by making fun coffee drinks to take along with me. 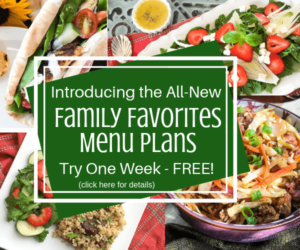 Dragonfly Treasure has a great list of Starbucks Knock Offs you can make right at home – perfect! I like doing craft projects once in awhile, and my husband likes deer heads, so here is a happy medium to have in our house! 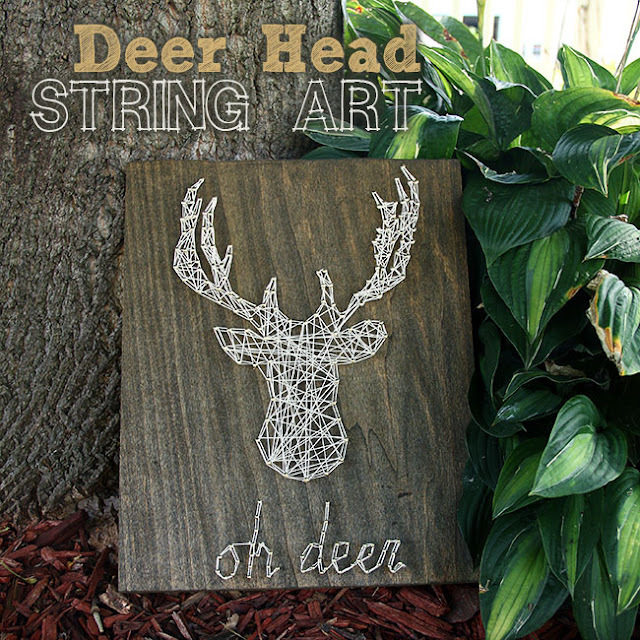 This String Art design from Curly Crafty Mom is so cool – you could totally start off with this design and then try some of your own! 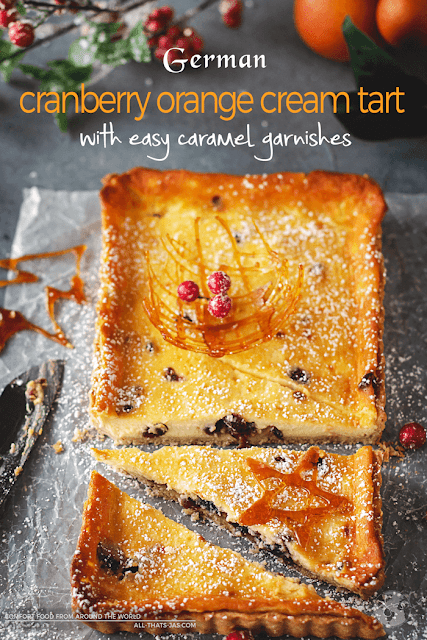 I am always looking for fun and different desserts to make for the house – citrus is always yummy I find! Get the recipe for this German Cranberry Orange Cream Tart from All That’s Jas and let me know what you think! I love, love, LOVE wreaths – I have at least three doors that need a decoration every holiday! 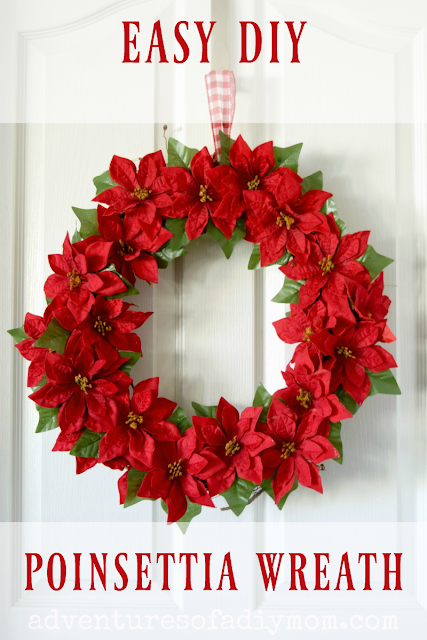 I found this Easy DIY Poinsettia Wreath tutorial from Adventures of a DIY Mom and thought it would be perfect. I have the fondest memories of the ceramic Christmas tree my grandma had at her home for the holidays, so much that I am currently on the hunt for my own! 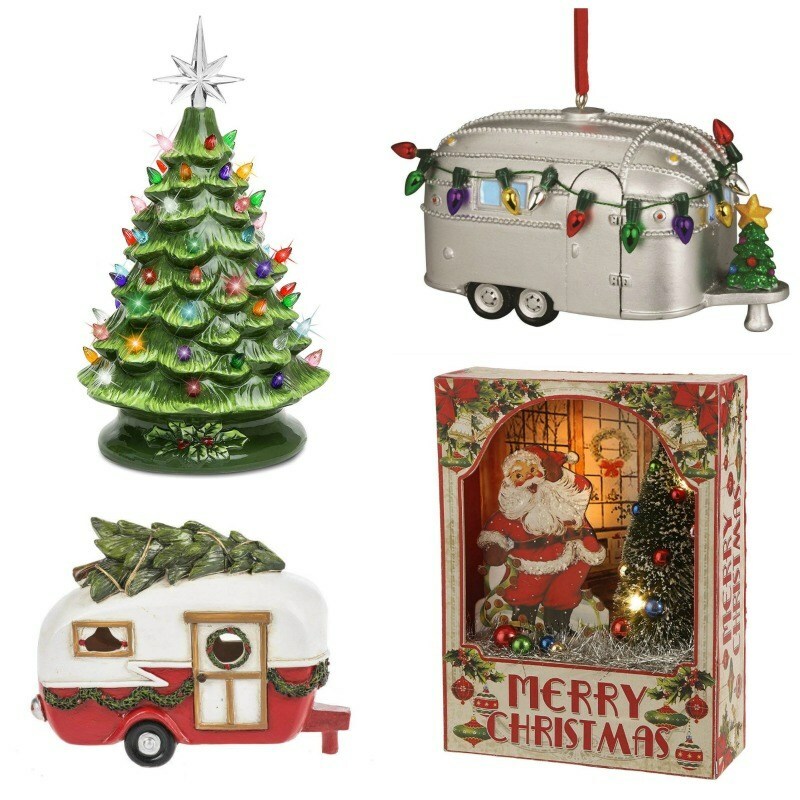 I saw this post of the Best Vintage Christmas Decoration Ideas for the Home from Abbotts at Home and it totally took me back! Did you have any of these growing up? I hope you enjoyed all of my features this week – there were SO MANY to choose from but these really stood out to me. 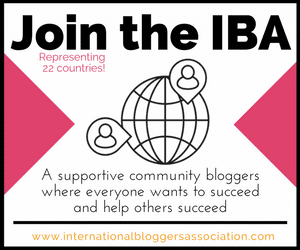 Congrats to the bloggers who were chosen! 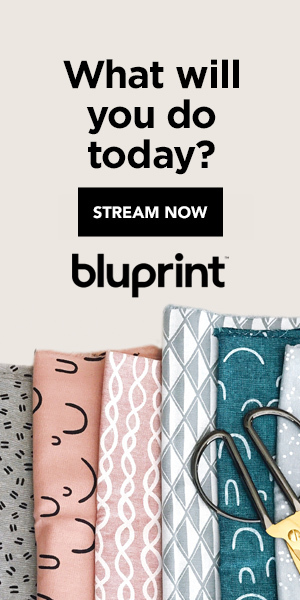 Make sure to stop by their posts and leave them some comment love!